There's still time to participate in Color Challenge 51! Remember, you don't have to have the EXACT colors to play. Just use colors inspired by the ones you see below. This challenge features zesty colors to inspire you — Orange Zest, Daffodil, Green-Eyed Monster, and Cornflower. 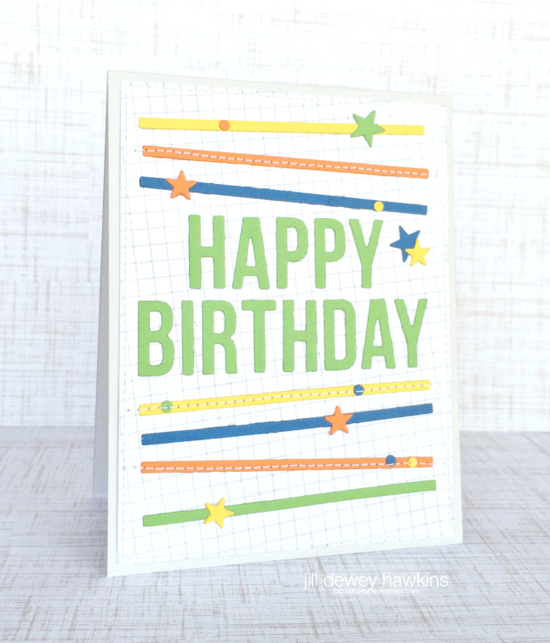 Jill Dewey Hawkins celebrates Color Challenge 51 with this festive card featuring our Happy Birthday Centerpieces Die-namics! I love how she has used this versatile Die-namics to create her own unique and punchy design with the colors. 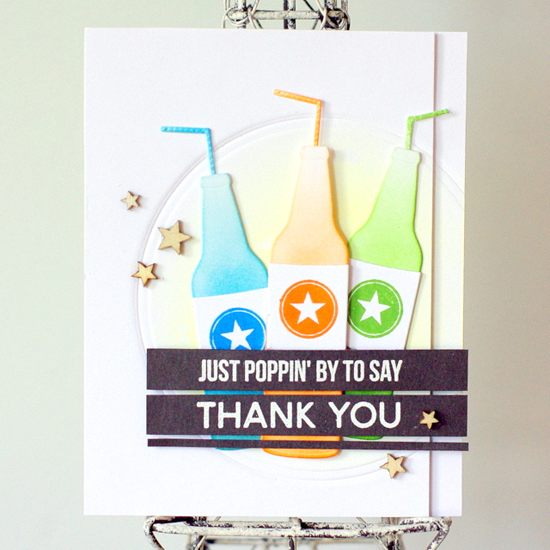 Leigh Penner's colorful design is simply delicious using the Soda Pop stamp set and Soda Pop Bottles Die-namics! Not only does she follow the colors of this challenge, she also followed along with our Camp Create Divine Dry Embossing challenge with the circle on her main panel. SUPER fun. Thanks so much for featuring my card! This has totally made my day!